Since I typically do all things Mickey, I decided to venture out a bit this time! 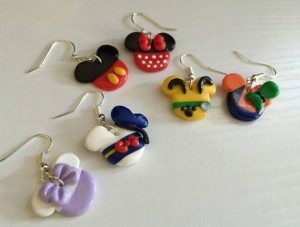 I decided to get two from the Mickey Mouse Clubhouse earrings with a choice of Mickey, Minnie, Daisy, Donald, Goofy and Pluto. Apparently I never venture TOO far, so I choose Mickey for my first earring. I chose Donald for the second earring. They arrived quickly and are adorable! The earrings are about the size of a penny and even though Lauren shows them with a penny for sizing reference on her site, they were still a bit larger than I expected. I think they are a great size though for a dangle earring. They would probably be too big for me for post style earring. The details on these earrings is incredible and I think they are really so creative! I would highly recommend them to any friend! Which pair would you choose from LIV Charmed? 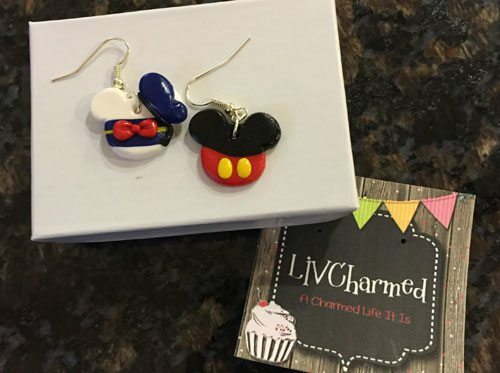 Lauren from LIV Charmed is so kind to join WDW Hints for a giveaway of her wonderful jewelry! One winner will get their choice of earrings.. 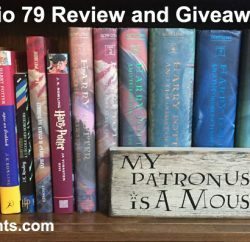 This giveaway begins at 12:01 a.m. (eastern) Sunday, November 1, 2015 and ends Saturday, November 7 at 11:59 p.m. One lucky winner will receive their choice of a pair of earrings. Entrants must be 18+ years of age and a resident of the USA. Winner will be notified via email and has 48 hours to respond. Previous PostFulfill Your Holiday Shopping with the Help of My Personal Disney Shop Next PostReview: Sheriff Callie’s Wild West – Howdy Partner! 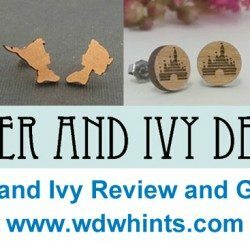 I like all the Disney inspired earrings! I’d like to see Dorthy from Nemo.